Chief Daniel O’Shea of the Rockford Police Department in Illinois sadly reports the death of Officer Jamie Cox. Officer Cox, 30, died as a result of injuries he sustained in a traffic stop. Cox had stopped a vehicle for a traffic violation. As he was talking with the suspect-driver, the man drove away from the detention. 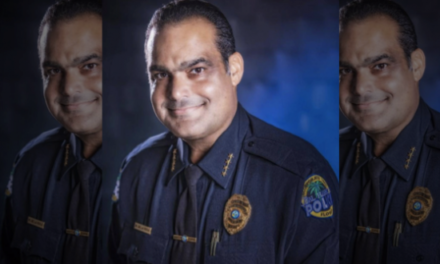 Cox became entangled in the suspect’s vehicle, which resulted in the suspect dragging the officer down the roadway. During the scuffle and flight, Cox discharged his weapon possibly striking the suspect. 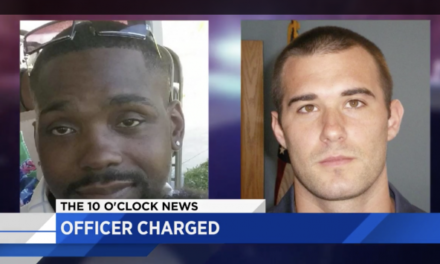 Some reports also indicate that Cox may have been shot during the initial traffic stop. Two blocks later, the suspect-driver crashed his vehicle. As a result, Cox sustained critical injuries sustained during the ordeal and called for assistance. The suspect-driver was found dead in the drivers seat of the vehicle. Cox was transported to Saint Anthony Medical Center where he succumbed to his injuries a few hours later. Officer Cox is the seventh officer of the Rockford Police Department to be killed in the line of duty since the agency’s inception in 1917. The investigation is being conducted by the Winnebago Boone County Integrity Task Force, which investigates officer involved shootings. 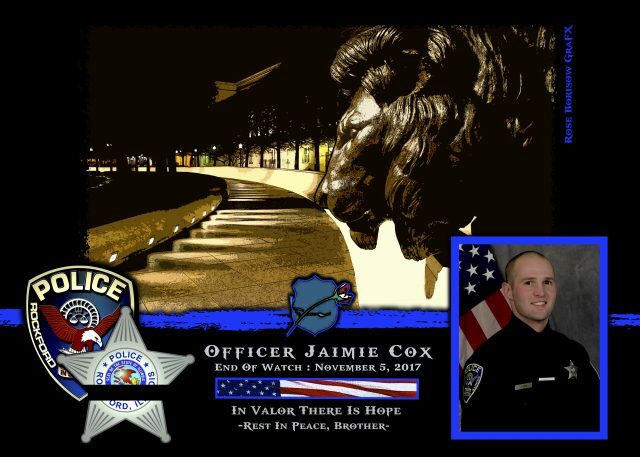 Jamie Cox served the Rockford Police department for one year. 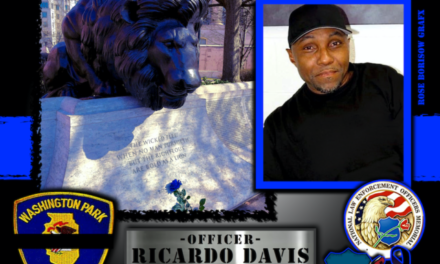 He had previously served with the Illinois Department of Natural Resources-Division of Law Enforcement. He was a current member of the U.S. Army National Guard. A prayer vigil will be held at 7:30 p.m. Monday at Unitarian Universalist Church, 4848 Turner St., where the truck hit a tree. His wife and parents survive him. 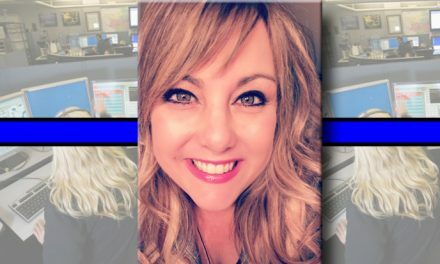 Officer Jamie Cox is gone, but will never be forgotten. EOW: Sunday, November 5, 2017.